Thai Herbal Massage uses a blend of fresh and dried herbs, wrapped in cloth compresses and steamed hot to release their healing essential oils! 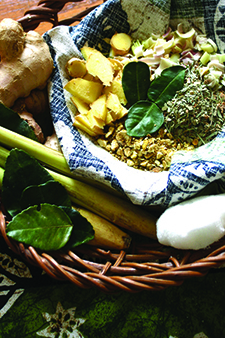 This 2-day course teaches you how to add Thai herbal compresses into your massage! 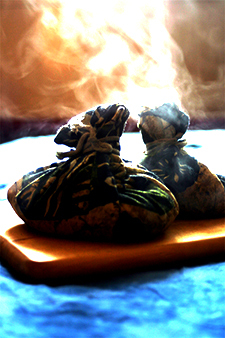 Students will learn how and why both hot and cold herbal compresses are used in the traditional energetic context of traditional Thai massage. Students will learn herbal ingredients, where to acquire them, how to make the herbal compresses, as well as recommended equipment and strategies for steaming, swapping and applying the compresses during the massage. This course is ideal for students who have already taken Thai massage training at another school, as well as for practitioners of other healing arts who wish to incorporate a new element of traditional therapy! Have no experience? None is needed! This course is also suitable for beginners! The second day of this course is for more assisted massage practice in a group! A healthy portion of the first day centers on learning about the ingredients, creating the compresses and equipment. While massage is included on the first day, there is much more time to practice on the second day!